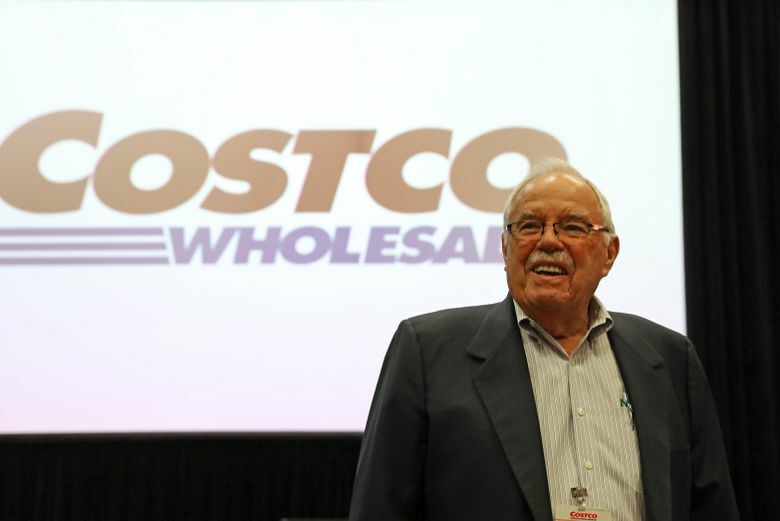 Jim Sinegal, who co-founded Costco Wholesale as a single warehouse on Fourth Avenue, bowed out of his remaining formal role at the company that now runs 746 stores around the world. Costco Wholesale co-founder Jim Sinegal, who turned 82 earlier this month, said it was “a bittersweet moment” as he prepared to severhis remaining formal tie to the retail giant that grew from a single warehouse on Fourth Avenue to 746 stores around the world. Sinegal, who did not stand for re-election to the board of the company he helped launch nearly 35 years ago, addressed the company’s annual shareholders meeting and talked about the unexpected death six months ago of his partner in the venture, co-founder and board chairman Jeff Brotman. 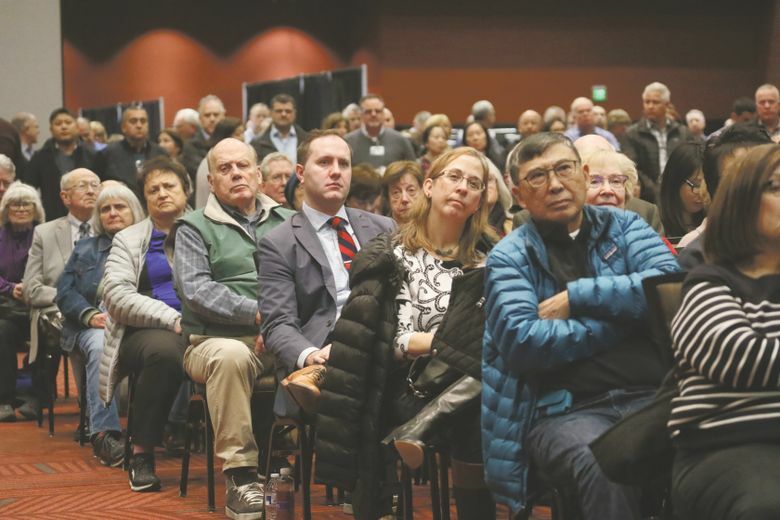 Speaking to a full house at the gathering at Bellevue’s Meydenbauer Center, Sinegal described the “enormous hole in all of our hearts” left by Brotman’s death last July. “He was a guy I truly love,” Sinegal said. 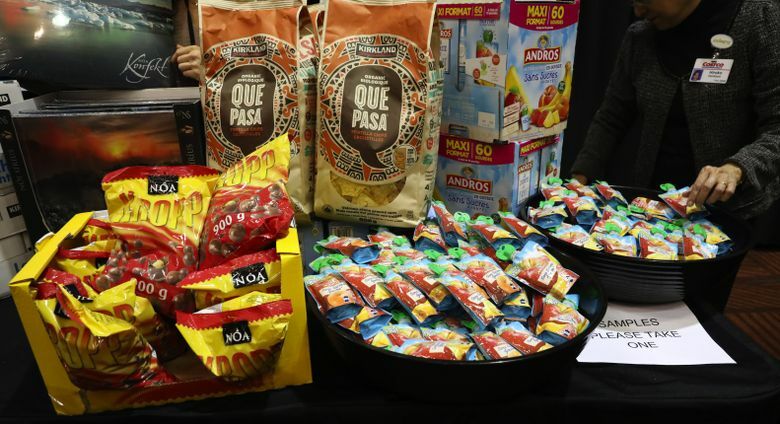 CEO Craig Jelinek, who took over from Sinegal in 2012, regaled shareholders with highlights of a 2017 fiscal year that included nearly $126.2 billion in sales and net income of nearly $2.7 billion; the company’s first stores in Iceland and France — a country that took the company five years to crack; and plans to continue competing with Amazon, now viewed as its principal competitor, through strategies including expanded home-delivery options. He owns more than 1.3 million shares of Costco stock, worth nearly $263.2 million at Tuesday’s closing price of $197.91 a share. Costco now has a market capitalization of $86.9 billion. Sinegal said he’ll have no problem occupying his time. He will remain active on the boards of organizations including the Fred Hutchinson Cancer Research Center, Washington Opportunity Scholarship Fund and business schools. “One of my sons and I own a vineyard down in Napa Valley, and I take care of my own personal investments, so I’ve got a lot to keep me busy,” he added. Former U.S. Sen. and Washington Gov. Dan Evans, a Costco board director since January 2003, is also stepping down. Meanwhile, directors Jelinek, Kenneth D. Denman and Jeffrey S. Raikes were re-elected to three-year terms. Also, a shareholder proposal to eliminate corporate bylaws that require anything other than a simple majority vote to pass was approved.